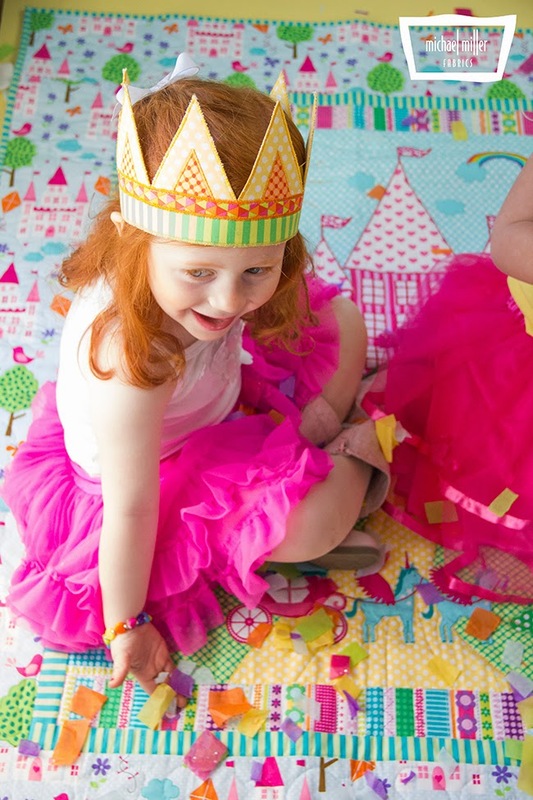 making it fun: How to plan the perfect princess party! 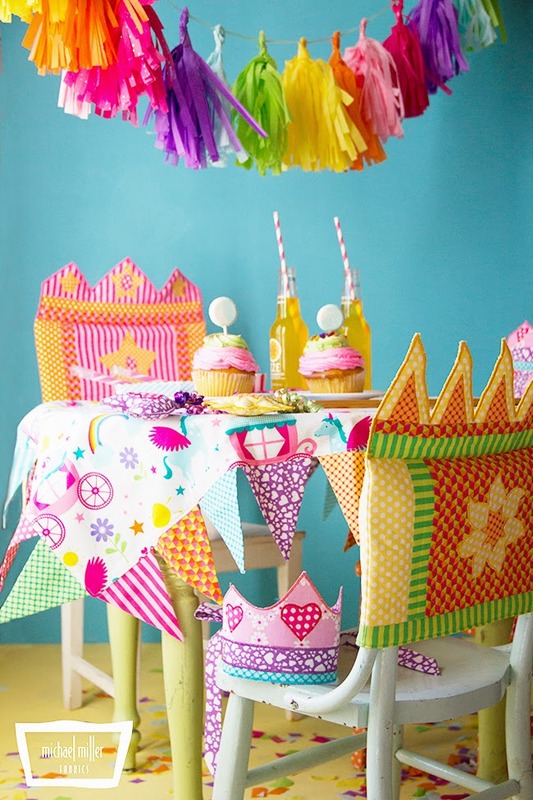 We thought that each little chair should be fit for a princess and that each little princess needs a colorful crown! I wouldn't advise a pinata for an indoor princess party :) but if your party is outside, why wouldn't you have a unicorn pinata?! 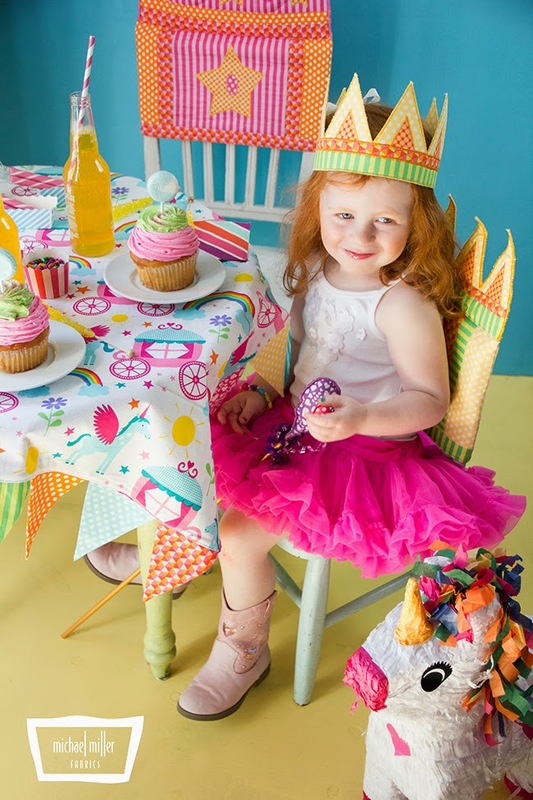 We've created a free pattern for the Enchanted Castle Tablecloth, the chair covers, the adorable crowns and the magic wands- just click here. 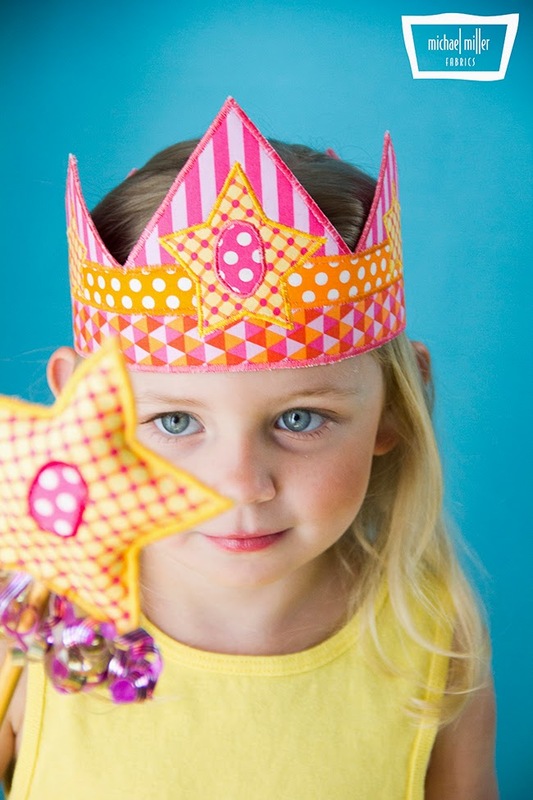 If you'd like to try your hand at tissue paper garland, Tomkat Studio has a wonderful tutorial. 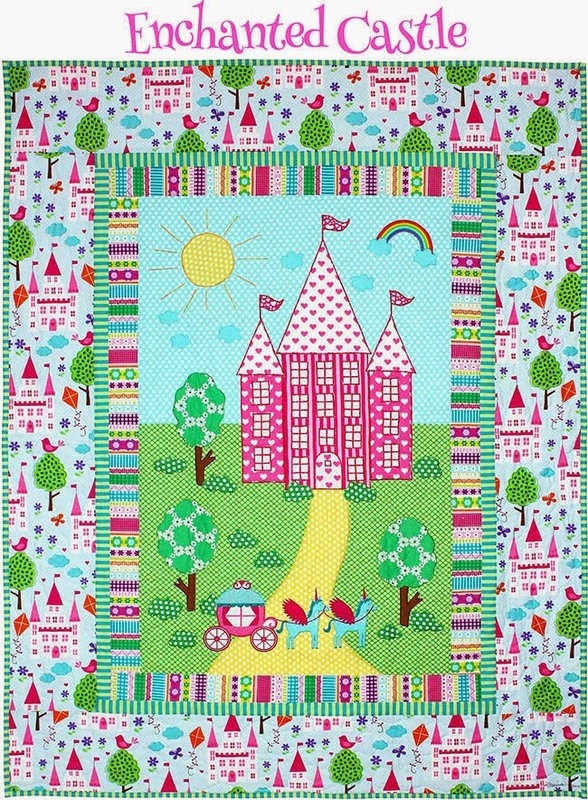 Our Enchanted Castle quilt pattern could be the ultimate centerpiece for a princess picnic at the park. Click here or on the actual quilt below for the instructions. 4. Ice Cream Cupcakes! OMG... yummmm!! * Enchanted Castles and Happy Tones are available at your LQS now! Have a color (and cupcake) filled weekend!